With the holidays right around the corner, it’s definitely time to take my gift-giving game up a notch. I still need to find another ten gifts for people on my shopping list and I love the convenience of shopping online. 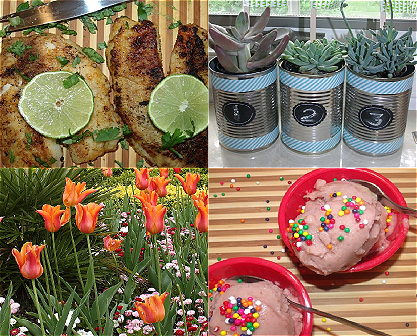 I have recently gathered some of my favorite finds & I can’t wait to share them with you today. Whether you’re shopping for your husband, your child, a friend or a neighbor, you are sure to find something on this list for everyone on your list. Looking for the perfect hostess gift? The set of Four Ceramic Plates by Purple Lemonade is so adorable. The original artwork makes this a super fun and unique gift. The four 6″ x 6″ plates are perfect for appetizers, snacks and more. 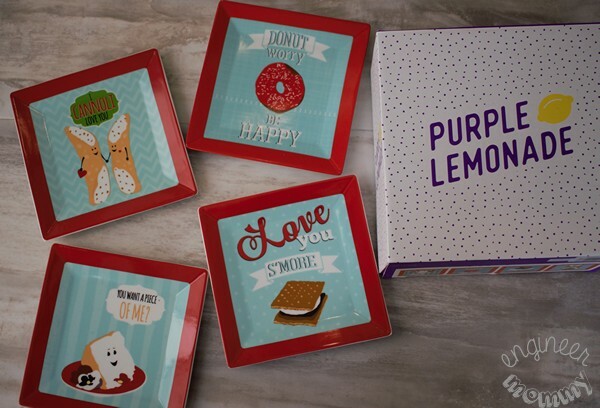 By the way, Purple Lemonade also sells other great gift ideas, including trendy giftware & accessories that are sure to put a smile on any recipient’s face. Check out Purple Lemonade on Facebook and Instagram for the latest news & offers from the company. We are so happy with the wide selection of high-quality men’s accessories in our box. 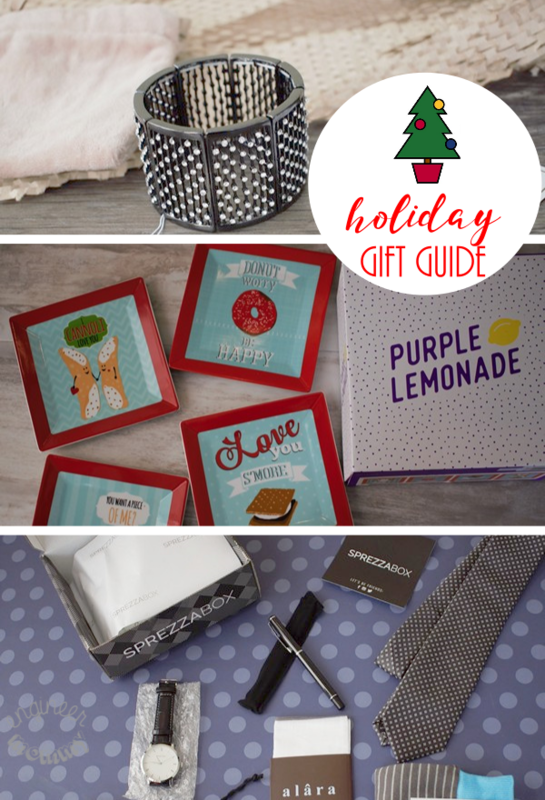 I love the idea of gifting a SprezzaBox – it’s easy, convenient and thoughtful! To keep up with the latest offers from SprezzaBox, check them out on Facebook and Instagram. 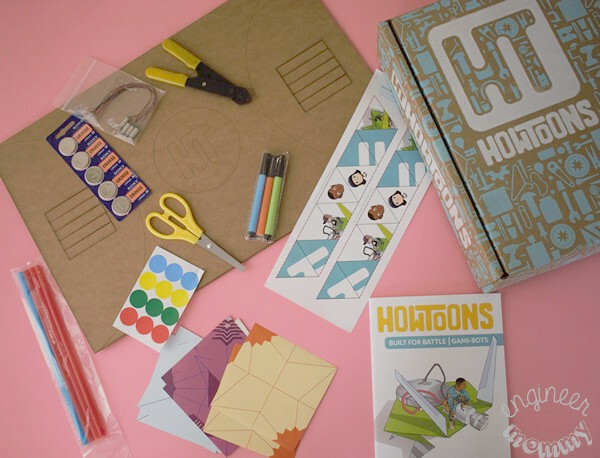 The Howtoons Gami-Bot Kit is ideal for the child who loves science and engineering. The kit includes all the supplies required to make four origami robots, four vibrational motors and five batteries. Also included is the Howtoons comic (it was totally adorable, by the way). Designed for kids aged 7-12 years old, these kits are perfect for the child beginning to develop an interest in robotics. I love that each kit includes everything to get started right away, including easy-to-follow instructions. I know my older daughter is going to love this kit- she is taking after her mom and expressing an interest in science & math. And of course, I love to encourage her so this kit is going to be a hit at Christmastime. Developed by Saul Griffith & Joost Benson while at MIT, Howtoons is unique that it adds art & story to the experience of learning. 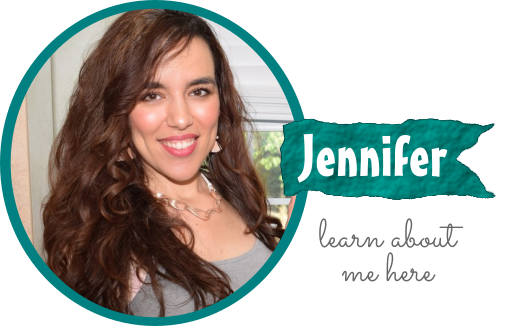 The company offers single kits, classroom kits and even monthly subscription boxes. For a child interested in science, this is an easy gift idea. Keep up with the latest from Howtoons on Facebook & Twitter. Jewelry is always a fun choice for any woman on your list. There’s no need to worry about sizes and there is something for every budget. The Easy Elegance Necklace from Erica Lyons is a long necklace that is beautifully elegant. I love that it’s so versatile- it can work well with a casual top or an evening dress. 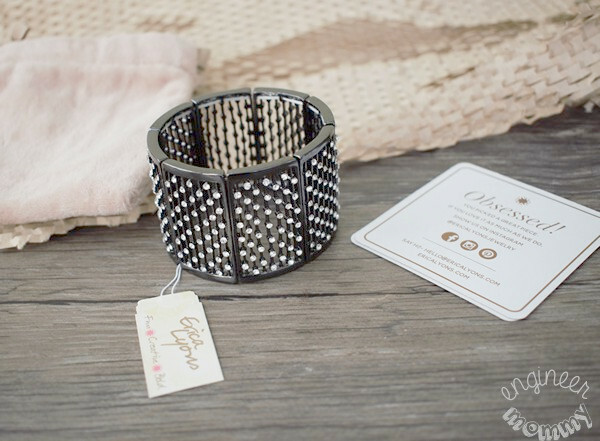 Another item from Erica Lyons that I’m loving is the Starlight Crystal Cuff. This affordable bracelet features a hematite-toned metal with clear glass crystals. Since it stretches, it offers a comfortable fit for all women. And let’s face it… adding a stylish bracelet is an easy way to elevate any outfit. Erica Lyons offers stylish, trendy jewelry pieces for every budget through their website. To keep up with the latest promotions from the company, check them out on Facebook and Instagram. Know a little one that loves arts & crafts? 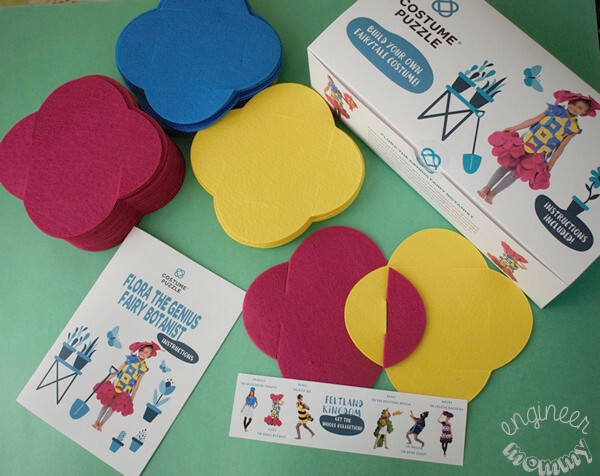 We recently received the Flora The Genius Costume Puzzle and love it. This educational building game for children consists of 82 colored felt modules that fit together. I love that the felt pieces can be easily attached or detached from each other. The kit comes with an easy-to-follow instructions to create Flora (but you can totally get creative and create something different) and is designed for kids aged 4-12 years old. Once constructed, the costume is fun and entertaining for the kids. However, the actual construction of the costume is part of the excitement, too. My younger daughter loves to be creative so I think this one will be a perfect holiday gift for her. By the way, the company also offers other characters, such as Drago the Fire Breathing Dragon, Priscilla the Adventurous Princess, Blake the Busy Bee, and more. Know a makeup fiend? Then the Purple Lemonade Cosmetic Bags are a great gift choice. These bags are spacious and offer plenty of room for cosmetics, beauty products and jewelry. Isn’t the saying on my bag totally adorable? 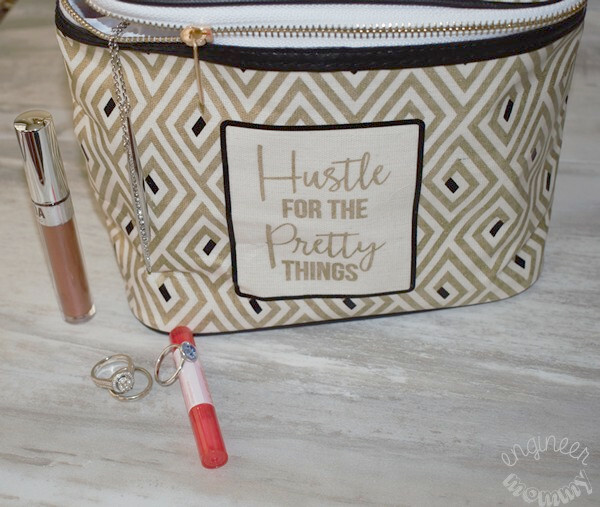 Many of my friends are makeup lovers so a cosmetic bag like this would be a big hit for them. Do you know someone that enjoys a daily cup of tea? 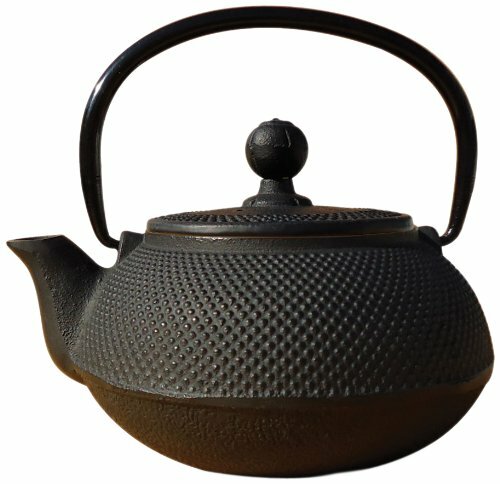 Elevate their everyday tea experience with an Old Dutch Cast Iron Sapporo Teapot. I love that this teapot retains heat well so that the tea will stay at the proper temperature for a long time (up to an hour). Plus, the interior is made of a porcelain enamel for a clean, pure taste. By the way, the teapot comes with an included infuser. Did you find something in this list for some of the people on your holiday shopping list? How many people do you still need to shop for? That Elegance necklace is SO pretty. I love a bold statement necklace! You have so many great ideas here. I love all of your gift ideas!! I especially want that makeup/jewelry bag all for myself…LOL! The ceramic plates are awesome hostess gifts! 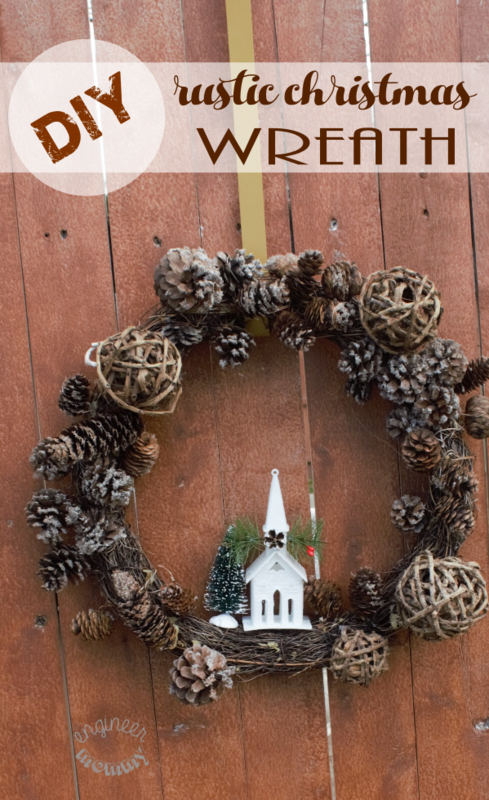 I’m not done with my Christmas shopping yet, so I really need this holiday gift guide! I can’t believe that Christmas is almost here, where did 2017 go?! I am nowhere near finished shopping yet. These are some fabulous gift ideas! I like those ceramic plates. I’m nearly done with Christmas shopping thank goodness. These are really great gift ideas. Those plates are so cute! I’m sure that a lot of men would love that box too! These are some great gift ideas. Love the SprezzaBox. 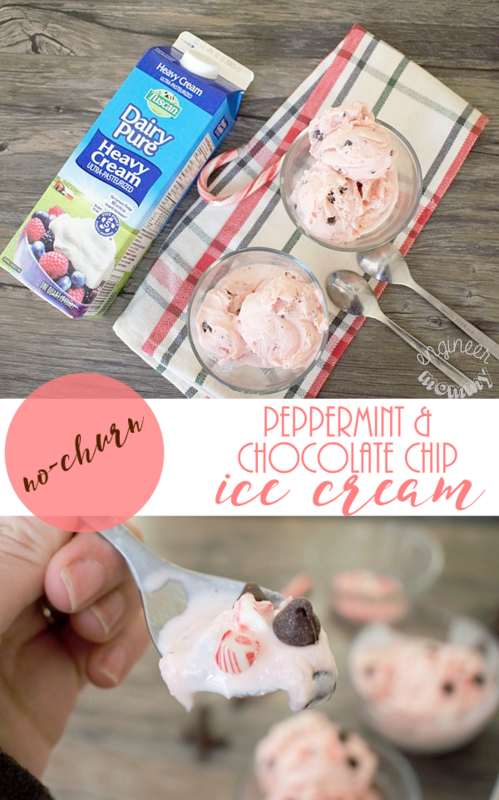 I think my hubs would love that! Love the long top for winter, looks comfortable and easy to wear. Something for everyone who is on a persons list to give a gift too. These are really good gift suggestions. I know a few women that would love to receive make up, and this cast iron tea pot is to die for. My favorite gift on this list is the super cute teapot! How did you know I need a new one? These are great gift ideas. I am stuck on trying to find gifts for friends, family, co-workers, coaches, etc, so this is helpful! Definitely lots of unique ideas – thanks! Great gifts here! I really fell in love with the necklace and the cuff bracelet… I might need to suttely direct my husband this way! This is a nice and useful list of gifts. What I like about this list is the fact that you have matched the gifts to different profiles. The teapot is super cute. I have a friend that really loves tea and I put a gift bag together for her with random tea stuff. I need to order this to put with it. I absolutely love online gift guides! They making shopping SOOO much easier! I absolutely love the The Easy Elegance Necklace from Erica Lyons! I may have to get that for myself! This is a really nice guide. It is so well thought out.